A skylight is a type of roofing structure that is meant to transmit light during the day. It is great for any space lacking windows. They can improve your indoor air quality and serve as a source of energy, thus saving you costs that may have been incurred on heating or lighting. Skylights come in different types and sizes and are relatively easy to install. However, like any other glass or plastic, skylights that have been in use for a long time tend to lose color or be brittle. So, when should you have them replaced? Skylights should be replaced if you repeatedly see condensation, water leaks, or expanding cracks. Furthermore, replace these features when installing a new roof on your home. Replacement at a later time after roof projects have been completed will be more expensive compared to what you would spend if you had your roof and skylights replaced together. Another reason why you should consider installing newer versions is old skylights may eventually leak. A new roof expands and contracts differently compared to old skylights that have already been subjected to continuous expansion and contraction. Reflashing will cost you between $200 to $600 while replacing will cost you around $800 to $1500 depending on the type of skylight you choose. Although reflashing might seem cheaper, many roofers claim that they will not be liable for any failures or leaks that come with older skylights. This could force you to dig deeper in your pockets to have them ultimately replaced. Cox Roofing is a professional residential and commercial roofing company in Columbia, MD. 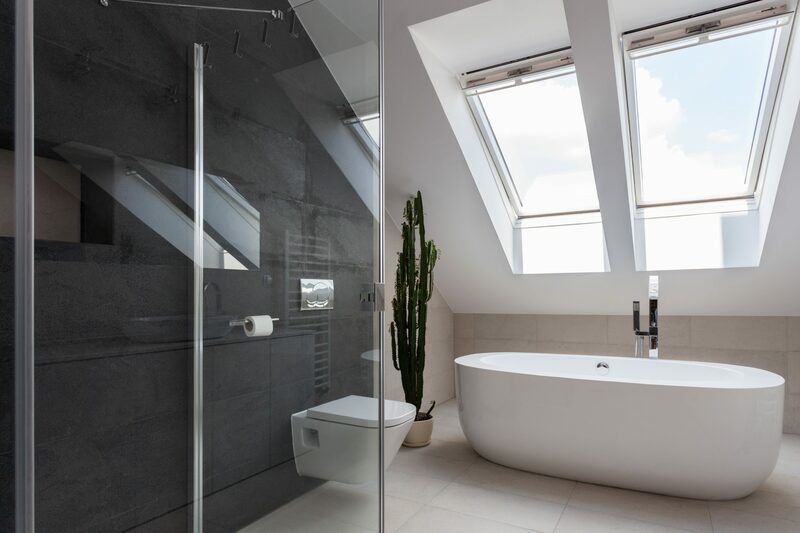 We offer high-quality skylight installations to help you save on energy costs while making your home even more beautiful. Get in touch with us today for all your roofing repairs and installations. We’ve got you covered!